...An Unbalanced And Quite Dangerous Airport And An Abandoned Church. 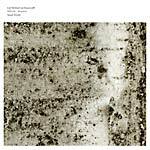 "This second complete CD followed his Rays of Beauty and will build a subtle trilogy work for Sub Rosa. By visiting Lagos in 1983, Tokyo in 1999, 2000 and 2001, Bangkok several times between 1986 and 2002 and Mexico City in 2002 and 2003, CM von Hausswolff came, as thousands of other people, to the conclusion that something is running amok. An uncontrollable avalanche consisting of the construction of houses, streets and in-between spaces develops in large cities as independent do-it-yourselves-organisms. They're places we like because of their 'anything can happen'- status. They're places we hate, because they remind us of what lousy creatures we actually are. How long will they last? Maybe as long as the feedback sustains? A conclusive statement rolled over the above-mentioned composer when he stumbled over an abandoned church in Chicago. This sad place, once illuminated by Marin Luther King, is now in the hands of soaptalkshowcommander Oprah Winfrey's chef Art Smith ... Maybe it's a sign of something good. At least we know the quality of his desserts ... This new release, following his A Lecture On Disturbances In Architecture (Firework Edition Records, Stockholm, 2002), deals with these matters in a formal way. 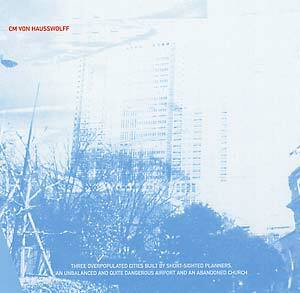 The rest is up to you ...."
Other releases by VON HAUSSWOLFF, C.M.